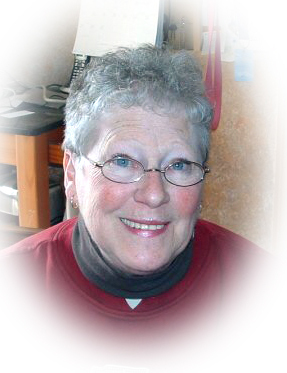 Obituary for Carol A. Spickler | Sheetz Funeral Home, Inc.
Carol A. Spickler, 72, of Harrisburg, passed away on Monday, February 11, 2019, at Penn State Hershey Medical Center. Born in Columbia, she was the daughter of the late George K. Haughey and Helen M. (Billet) Wein. Carol graduated from Donegal High School class of 1964. She was a member of Zion Lutheran Church in Marietta. Carol enjoyed reading and building doll houses. For a short period of time, she owned and operated Marietta Avenue Miniatures. In her earlier years, she enjoyed horseback riding. Carol will be missed by her pets. Carol is survived by three children, Mark Spickler, husband of Maribelle of Lancaster, Jason Spickler of Elizabethtown and Julie Spickler of Harrisburg; two grandchildren; and two sisters, Linda Fritz of Mechanicsburg and Jackie Roberts of Mount Joy. She was preceded in death by a grandson, Tyler Spicker; a step-father, John A. Wein; and a step-mother, Florence Haughey. A funeral service honoring Carol’s life will be held at Zion Evangelical Lutheran Church, 1290 River Road, Marietta on Friday, February 15, 2019, at 11 AM. Family and friends will be received at the church before the service from 10 AM to 11 AM. Interment will be private. In lieu of flowers, memorial contributions may be made to Zion Evangelical Lutheran Church Elevator Fund, 1291 River Road, Marietta, PA 17547, Molly’s Place Rescue, 5220 East Trindle Road, Mechanicsburg, PA 17050 or Muscular Dystrophy Association, 2080 Linglestown Road, Suite 104, Harrisburg, PA 17110.